The new commenting policy starts tomorrow. Thank you to those who have either sent me an email at vp AT acsociety DOT org or have given their details at the end of a comment (which I will remove). We will no longer be allowing comments by people whose identities we do not know. Eventually, we may decide as well to limit comments to those who are members in good standing of the Anglicanorum Coetibus Society. There’s no problem if you want to use a handle to comment here, as long as we know who you are. Nor is such sniffiness towards converts an exclusively American phenomenon. The day after Anglicanorum Coetibus was issued, providing personal ordinariates for Anglicans entering into communion with the Catholic Church, I recall a Jesuit friend remarking: “Yes, but they’re the wrong sort of Anglicans.” One wonders, of course, who the “right” ones would be. It’s kind of funny, don’t you think? The whole article is interesting. Pray Tell blog takes aim at our liturgy! The Pray Tell blog has a post up about an Orthodox scholar andformerAnglican David Frost who is critical of importing Cranmerian language into Orthodox liturgy. Then the blogger takes a swipe at the Ordinariates’ Divine Worship. The Book of Common Prayer liturgy, in Frosts’s view, is theologically corrupt; it has an unbalanced and juridical view of sin and guilt, and it was heavily motivated by terror of ‘the uneducated, uncivilised mob’. It understates what Frost calls ‘the mighty acts of God’, especially the resurrection. It was, he says, unduly influenced by Calvinism. And not only the implicit Calvinism but also the language he objects to! He also criticises what he calls ‘sub-Cranmerian English’. Despite being a lover of Renaissance literature, I have argued throughout my working-life that to create a special language for religion akin to ancient Hebrew or Sanskrit is the characteristic of cults — and the Christian faith should not be turned into a cult. It is contrary to the practice of the Apostles, for the gospel was communicated in the Greek koine, an international trading language whose counterpart today might be internet computer English. To have a substantially different language for worship would seem to contradict the basic message of divine incarnation. When at Christ’s crucifixion the veil of the Temple was rent in two, the barrier between sacred and profane was shattered. It is all too easy to erect that barrier once again, and the barrier goes up imperceptibly as language grows old-fashioned and unfamiliar. The greatest danger presented by imitation of Cranmerian English among the modern western Orthodox is that it may become yet another hierarchic, archaic language for worship that can protect and insulate one from its content, just as much as colourful ceremony and fine chanting. The relevance of Frost’s lecture for Catholicism is slightly complex. After all, we are not Orthodox. Some of the texts that he attacks appear in the older Latin missal. Some of the texts that he cites as missing are also missing in the Tridentine Mass – the explicit epiclesis, for instance. Nonetheless, I think he makes many good points. It is not at all clear that Thomas Cranmer’s heavily Calvinistic theology should be ‘cut and pasted’ into a post-conciliar Catholic Mass. His critique of ‘sub-Cranmerian English’ rings true to me. Even setting Catholic and Orthodox differences aside, I found his lecture a damning criticism of the new Ordinariate liturgy. I think some of Ordinariate members in England might be more sympathetic to this point of view. I would love to hear from you in the comments section. As for me—the post-Vatican II view among progressive Catholics that we are “Easter people” and thus we stand before the Lord and can have all the fruits of the Resurrection without repentance of sin and crying out for mercy seems to me to miss the fact one has to go through a process of deep conversion to experience the renewal and regeneration that does make one able to walk by the Spirit. Only walking by the Spirit and not the flesh makes us truly Easter people. I see a lot of carnal Christians acting like they’ve got it made when I wonder if they have ever had an experience of meeting the Living God—and developed a healthy fear of Him. Also, I think we can skate along thinking in our comfortable lives we pretty much are doing okay—humming along here being quite patient and loving and all that—until! we get some neighbor who plays loud music late at night, or someone annoying starts attending our church services. I dunno. Try breaking a bad habit, even a small one, such as overreating. Try introducing new spiritual disciplines into your life. See how quickly you realize how powerless you are, what a “miserable offender” totally dependent on God’s grace you are. Of course, that doesn’t mean we are left in that place—but you have to experience that in order to receive what only comes to a contrite and humble heart. And even having a contrite and humble heart—well, you can’t even give that to yourself. You need grace. We are so, so presumptuous! So, a little reminder in our confession at Mass not to be so, is a good thing. I think many of the “We are Easter people!” crowd have made metaphors of the Bible. ‘Oh, we’re adults now, we can see the Resurrection was symbolic. All that sin and dying to self stuff, that was for a more immature and superstitious age. H/t to the Anglican Ordinariate Informal Discussion group on Facebook for the piece. Fr. Ed Tomlinson, an Ordinariate priest in England, has an article in The Catholic Herald entitled The lesson of Anglicanism: liberalism will tear you apart. In it he captures some of the reasons why those of us who come from the Anglican world have been so uneasy during the recent synods on the family, and dismayed by the rising factionalism in the Catholic Church where one bishops’ conference or diocese interprets Amoris Laetitia in light of what the Church has always taught regarding Communion for the divorced and civilly remarried without an annulment, but others say the document opens the way for not only the divorced and ‘remarried’ but also those in other “irregular” relationships to receive. We know too well how this movie ends. Anyway, back to Fr. Tomlinson. Two major developments in the 20th Century brought this uneasy truce into question. The first was the adoption of synodical governance which led to a radical politicisation of the Church of England. With everything suddenly up for grabs, by virtue of majority vote, the factions no longer pulled together in unity but began to plot and lobby against each other. General Synod became a battleground on which theological opponents could be put to the sword. And it didn’t take long for the liberal lobby, strengthened by trends in society and over-represented on the bench of bishops, to realise synod worked in their favour. Did the Holy Spirit said no to women priests in July’s Synod? Fret not: table the motion again in February, then repeat ad nauseum, until the Holy Spirit finally gets the message! That is how democratising the deposit of faith tends to work, though the system admittedly tends to favour Barabbas over Jesus. The second development which disrupted Anglican unity occurred when the Book of Common Prayer became optional not mandatory. You are what you pray: lex orandi, lex credendi. With the shackles removed, parishes started to go their own way. Today, there is almost no common ground between an evangelical parish on one side of town and its liberal counterpart on the other. This represents a massive problem for the Church of England: how can you bring people together in love when there is zero shared praxis between them? The situation has become so grave that the Lambeth Conference can no longer be held, due to deep divisions even at the level of the episcopacy. I have made no secret of my wish that someday the Catholic Church will approve the use of the King James Bible with all the canonical books and perhaps some footnotes or other ways of dealing with any Protestantisms such as the way the word “tradition” is used in a derogatory fashion. Nothing matches the KJV for its poetry and its language is, with that of the Book of Common Prayer, part of the undergirding of Western Civilization in the English-speaking world. In other words, it’s a treasure, an heirloom and a key to unlocking English literature and culture. Why I write about this is that I stumbled across a post from last year by Jimmy Akin about how the New American Bible —which is approved by the Catholic Church—translates Luke 23:4-5. What does science say about the darkness during the Crucifixion? It was now about noon and darkness came over the whole land until three in the afternoon because of an eclipse of the sun (Luke 23:44-45). “An eclipse of the sun”? Really? Surely the translators of the New American Bible, which we hear at Mass, didn’t render the passage that way! He then goes on to explain what a solar eclipse is; what a lunar eclipse is and the relationship of the lunar cycles to the Jewish calendar and the fact that all four Gospels tie the crucifixion to Passover. GAH! No! That’s the kind of eclipse that can’t occur at Passover! Now, you might think that the NAB translators didn’t know this. But that’s not plausible, because the fact this wouldn’t have been a solar eclipse is regularlycommented upon in commentaries on Luke, and the translators certainly were familiar with and consulted such commentaries in the translation process. They knew, but for some reason they just didn’t care. We are going to implement a new commenting policy. As of August 1, we will only post comments from people with real names from verifiable locations and email addresses. If you wish to comment under a “handle” that’s okay, we will keep your personal details private, but we need to know who you are. We would appreciate people who use “handles” or email addresses that do not reflect their real names to let us know as soon as possible. Eventually, we may also limit comments to those who are members of the Anglicanorum Coetibus Society, but for now, anyone may comment as long as we know who you are. The “Anglican Patrimony” is the liturgical history, particular to Medieval England, that the Catholic Church and Anglicans have in common. It is upon this Patrimony that the Ordinariate Form (Divine Worship) was built. Divine Worship is the official liturgy of the Personal Ordinariates for former Anglicans. Divine Worship consists of a Missal (mass liturgy) as well as a Breviary (daily office), though the revision of the Breviary is still awaiting final approval from Rome. If you would like to see what this revision looks like, you need only visit the Covert Prayer website: http://prayer.covert.org/ Many lay Catholics, both in the Ordinariates and outside them, are already using the Covert Prayer website as their guide to “Divine Worship: The Office,” even though it’s not official yet. The Personal Ordinariates are special jurisdictions within the Catholic Church that apply specifically to certain parishes and persons, hence the name “personal.” The idea here is to create a special diocesan-like structure that overlaps other dioceses, but only applies to certain persons who are attached to that Ordinariate. It’s sort of like a Military Archdiocese that applies only to military chapels, chaplains and members of the armed services. Think of it this way. Imagine if you will a religious order, like the Benedictines, or the Franciscans, for example. There would be a special headquarters for that order, that have several monasteries under it. Well, the Ordinariate is like the religious order, and the parishes are the monasteries. Now these Ordinariates were primarily designed for Anglicans who wish to convert to Catholicism, but retain those liturgical practices that are most familiar to them. However, this also applies somewhat to Methodists too. Any Roman Catholic, who was once connected to Anglicanism or Methodism, is automatically eligible for Ordinariate membership. Furthermore, anyone who converts to Catholicism (from anything) is automatically eligible, if he/she converts in an Ordinariate parish or community. Any Roman Catholic who has not yet received a sacrament of initiation (baptism, first communion, or confirmation) is eligible to become a member if he/she receives one of those sacraments in an Ordinariate parish or community. Finally, any Catholic with an immediate family member in the Ordinariate is also eligible for membership. Membership in any one of the above Ordinariates may be requested by visiting the above websites and filling out the required application. Ordinariate parishes and communities are not exclusive clubs just for certain kinds of Catholics. In fact, any Catholic may become a member of an Ordinariate parish or community, even if said Catholic is not eligible for Ordinariate membership. This is important to note, because Pope Benedict XVI said the Anglican Patrimony was a gift to the whole universal Church, not just members of the Ordinariate. This means that any Roman Catholic can meet the Sunday obligation by attending mass in an Ordinariate parish, and any Roman Catholic can join such a parish or community as a full member, and yet remain under the episcopal jurisdiction of the local diocesan bishop. Yet there is more. While the Divine Worship mass can only be found in Ordinariate parishes and communities, there is the other half of the Anglican Patrimony — The Office! 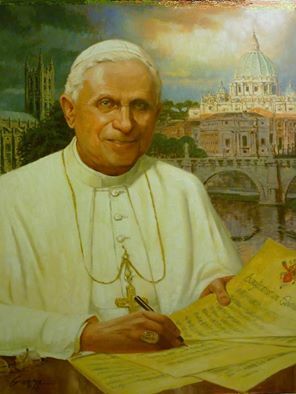 As Pope Benedict XVI said, the Anglican Patrimony is a gift to the whole universal Church. The Divine Worship Office is part of the Ordinariate Form of the Roman Rite. In other words, it’s part of the Roman Rite. It’s a third form of the Roman Rite, which means ANY LAY ROMAN CATHOLIC CAN CELEBRATE IT. That’s right, any lay Roman Catholic can use the Divine Worship Office for Morning and Evening Prayer as an alternative to the regular Novus Ordo Office (Christian Prayer), or the older Tridentine Office (The Breviary). Because of this, many lay Roman Catholics, who have no previous connection to Anglicanism or Methodism, are now reciting the Divine Worship Office, currently proposed to Rome for approval, as shown on the Covert Prayer website: http://prayer.covert.org/ They’re praying this office with their families, in their homes, all over the United Kingdom, Anglo-America and Oceania. In addition to that, new groups are now forming, creating the foundation for a second wave of Ordinariate parishes and communities to sprout up in the future. We are particularly seeing this happen in Anglo-America. These consist of lay Catholics who have some kind of attachment to the Anglican Patrimony. This might be because they were formerly Anglicans or Methodists before converting to Catholicism. It might be because they have relatives who are Anglicans or Methodists. It might simply be because they are Anglophiles and love all things English! Whatever the reason, it’s happening. Small groups of families are meeting in living rooms, libraries, office buildings, and sometimes even Catholic chapels, to recite and sing the Divine Worship Office. Unlike the Ordinariates, literally ANYONE may be a member of the Anglicanorum Coetibus Society. This is a lay apostolate, that serves the Ordinariates. So any Catholic can be a member of the Society and support its mission. 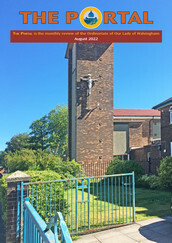 The Society provides connectivity for those who are attached to the Anglican Patrimony, regardless if they were ever Anglicans or not. So it doesn’t matter who you are, or what your background is. Membership in the Anglicanorum Coetibus Society is open to you. The Society supports its members with the services mentioned above, and also provides occasional conferences, wherein ACS members can meet and mingle with one another. The main focus of the ACS, however, is networking Catholics attached to the Anglican Patrimony, letting them know they’re not alone, and their part of a bigger family within the Catholic Church. The gist of it is this. Through the ACS, Roman Catholics who celebrate the Vatican-approved Anglican Patrimony outside established Ordinariate parishes, now have a voice and a network. 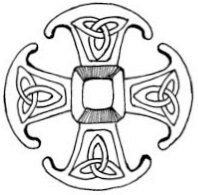 If you’re interested in becoming a member of the Anglicanorum Coetibus Society (ACS), simply go to the membership form on the website and sign up! However, if you’re interested in starting a Patrimonial Group in your area, because there is currently nothing else around, just visit the ACS map and follow the instructions for listing. The Anglicanorum Coetibus Society claims no rights to the photographs, videos and texts by third parties which are posted or quoted on this blog. If for any reason any object is called into question, or if the particular owner has an objection to its being displayed, please contact us and it will be removed.